Dr. Bryan Scott has been delivering outstanding orthodontic care since 1998. He received his Doctorate of Dental Medicine degree from the University of Pittsburgh and his Orthodontic Certificate from Columbia University in New York City. While honorably serving in the United States Air Force, Dr. Scott completed his General Practice Residency at David Grant Medical Center at Travis Air Force Base and later completed his orthodontic residency at Columbia University. Dr. Scott maintains memberships with numerous prestigious organizations such as the American Association of Orthodontists, the American Dental Association, the Pacific Coast Society of Orthodontists, the California Association of Orthodontists, the California Dental Association, and the World Federation of Orthodontists, just to name a few. 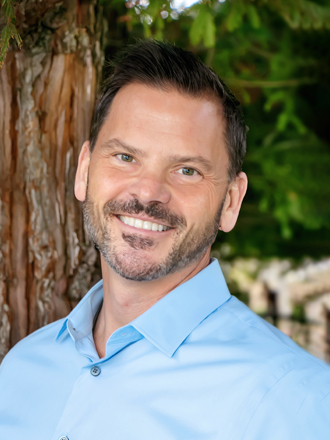 Outside of the office, Dr. Scott has served as the president and ethics chairman of the Napa-Solano Dental Society. He also gives back to his local community by sponsoring numerous local youth sports teams and making contributions to local schools. Dr. Scott is also a member of Give Kids a Smile, which provides complimentary orthodontic treatment to the underserved. In his additional spare time, Dr. Scott enjoys playing piano, guitar, reading, playing golf, and spending time with his wife, Lisa, and their two daughters, Sydney and Scarlett. Voted 2017's BEST Orthodontist by The Reporter!